When Forteba announces a new EP you know it’s time to reach for a Q-tip to make sure you won’t miss a single detail. Kicking it off with “Rolled” Forteba demonstrates his gift for building grooves that he spices up with some serious house vibes and striking atmospheric pads that can pull you from one emotional rollercoaster to the next. The 4-track EP continues with “De Capri“, a super smooth and highly sophisticated production that gives you these tickling feeling of satisfaction while listening. Known for the diversity of his productions and his knack for details Forteba keeps spoiling us with the third track on the EP called “Olive Fruit“. We love the detailed drums and all the little twists and turns in his music that make it sound so rich and honest. 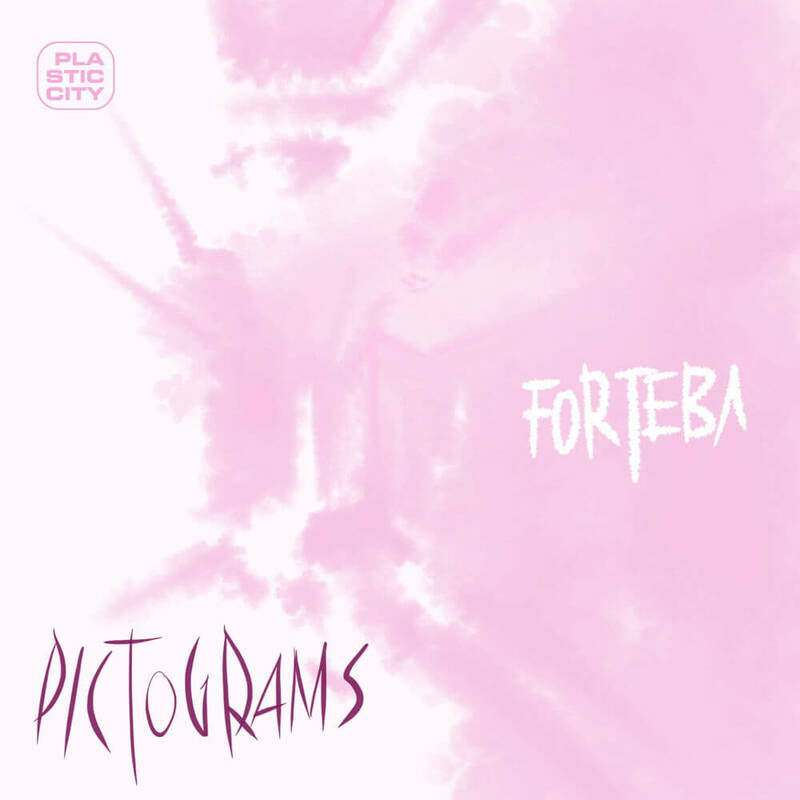 Last but not least there is the EP eponymous track “Pictogram” that sums up the EP just perfectly with its bum-wiggling groove and all the different sound bits and pieces that Forteba so patiently arranges. If you are down for some positive vibes combined with some seriously deep ear candy Forteba is your man of the hour. The release of Forteba – Pictograms marks the beginning of a new era for Plastic City. This is made visible by the fact that Andreas Hachulla is now responsible for the pictures on the covers. Hachulla’s digital drawings are created during his expeditions through Berlin’s club and nightlife. In most clubs, where the sound architecture consists of a system of samples and copies, it is forbidden to take photographs. Hachulla uses his mobile phone as a sketchpad and draws his impressions of the club scene. The fleeting, such as the flashes of light that make the architecture visible for a fraction of a second, are of just as much interest to him as the architecture itself. The mobile drawing program simulates both the properties of drawing tools and the style of the artist / user. Within the exhibition, Andreas Hachulla’s pictures stands for a post-digital artistic practice that is not oriented towards the digital, but is not possible without digital-technological connections.